Holidays involving skiing and snowboarding allow you to relax and enjoy your favourite sports at the same time. For most people, the question isn’t whether to spend Christmas holidays on the snow or not. Rather, it is where to go skiing or snowboarding? As much as most skiing and snowboarding enthusiasts are concerned, the best destinations to enjoy the sports include Switzerland, Austria, France and Italy. But the mentioned countries aren’t only some of the best places to spend your winter sporting holidays in the world. Unfortunately, they are among the most expensive winter destinations as well. So if money is an issue, avoid the most popular destinations and consider lesser known resorts which, however, aren’t any less spectacular. Examples include Solden in Austria, Samoens in France and Claviere in Italy. Lastly, it is always an option to stay at home and enjoy winter holidays in Scotland which is home to several skiers and snowboarders gems such as Cairngorm, Nevis Range, Glencoe and Glenshee. Scotland is also an ideal destination for winter sporting holidays if you enjoy cross-country skiing. As difficult as it might be to imagine, but not everyone enjoy skiing and snowboarding. If you are travelling with such person or multiple ones, there is good news. 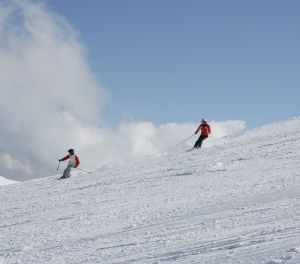 Most ski resorts offer a variety of diverse activities including ice-skating, sledging, curling, etc. It is a good idea, however, to inform yourself in advance in order to avoid unpleasant surprises. 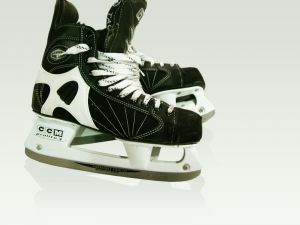 Winter sports travel insurance is a must to truly relax and enjoy your favourite winter sports. Unfortunately, many people need medical treatment for injury on the slopes and without an insurance, you can end up paying thousands of pounds for medical treatment. There is a greater chance that you won’t need it but it is better to forget those few pounds extra and have the piece of mind that you’re covered if the worst happens. With or without insurance, you are also recommended to follow the F.I.S. Code of Conduct and make sure that your gear is top condition. If you plan to rent it, be sure to hire it from a reputable company. And don’t forget about proper clothing. Besides dressing warmly, you should also dress in layers so that you will be able to remove a layer or two if necessary. Another must have is a helmet and sunscreen. UV light is very intense in alpine environments and you can quickly get a very nasty sunburn if you don’t wear sunscreen.